McToon's Final Shot is a bawdy, funny tale of golf and human passion. The Hillview Club in Morris, Indiana, is the setting and it is the toughest course in the world. Hillview was built by an Italian landscaper for a mega-rich Lothario who earned billions from a hot-dog fortune. In McToon's Final Shot, Killer Jackson, the world's number one golfer, stops by for what he thinks will be a friendly round of golf with Hillview's head professional, Dubs Roberts. Killer and Dubs were teammates in college. Killer is stopping to visit before a trip to Indianapolis to play at Twisted Stump in the U.S. Open. Through a series of circumstances, they play a match against 64-year-old Mac Tanner and 86-year-old Angus McToon. Angus is a native of Scotland and an irrepressible character. By the time they finish, the match is worth upwards of a million dollars, it is being carried live across the world, and the readers have met all the 'loonies and toonies' who make Morris, Indiana, such a novel place to live. This is not just the story of a golf match, it is a story of the personalities who make Morris one of America's best kept secrets. McToon's Final Shot will make you laugh, it will thrill you, it will surprise you, and it will make you proud to be a golfer. You will come to appreciate a golf course of monumental dimension, you will become friends with the oddest array of characters to ever grace small-town America, and you will meet the number one golfer in the world and understand all his quirks. As told by Sanford Trap, this is a feel good story where the little guy rises up and makes his mark. 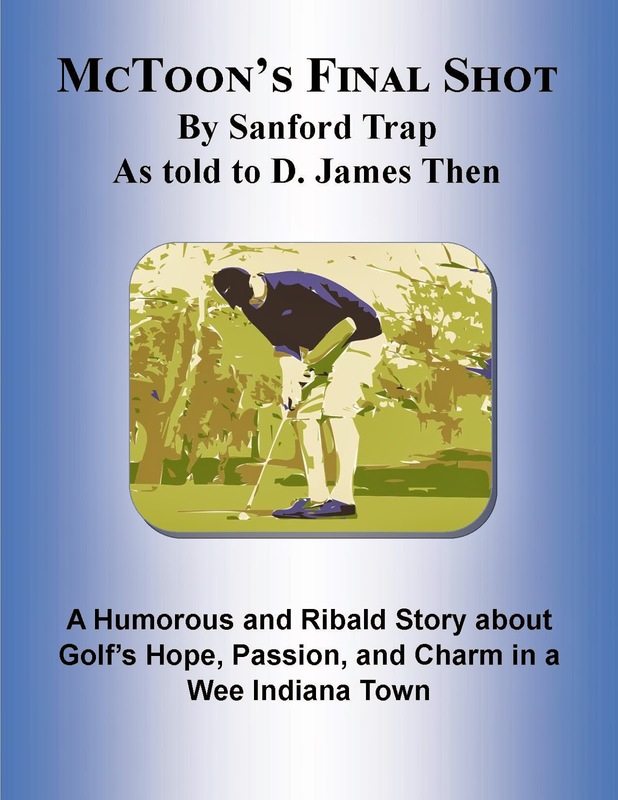 If you have ever dreamed of walking in the shoes of giants, this story is for you, The characters are rich, the story is funny, the town in great, the golf course is diabolical, and the adventure borders on the mythical.